The presence of Irish writers is almost invisible in literary studies of London. The Irish Writing London redresses the critical deficit. A range of experts on particular Irish writers reflect on the diverse experiences and impact this immigrant group has had on the city. Such sustained attention to a location and concern of Irish writing, long passed over, opens up new terrain to not only reveal but create a history of Irish-London writing. 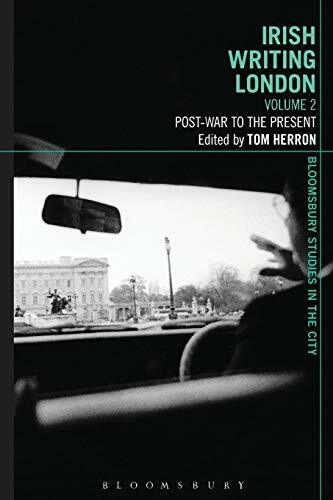 Alongside discussions of MacNeice, Boland and McGahern, the autobiography of Brendan Behan and identity of Irish-language writers in London is considered. Written by an internal array of scholars, these new essays on key figures challenge the deep-seated stereotype of what constitutes the proper domain of Irish writing, producing a study that is both culturally and critically alert and a dynamic contribution to literary criticism of the city. Tom Herron is Senior Lecturer in English and Irish Literature at Leeds Metropolitan University, UK.